[ in singing ] "... we create something which has an impact in more ways than we can imagine." Tucson unexpectedly lost a precious treasure on Friday, February 20, 2015 when Jeffry was peacefully taken to his heavenly home. He was born on December 21, 1959 in McPherson, KS to beloved parents, Allen and Barbara Jahn who, together with Uncle Wayne, loved, nurtured, educated, and guided him. They have shared a friendly competition for birding since Jeffry's grade school years. Jeffry's love for God, family, and music was infectious to all he would meet, especially those who were blessed to call him son, nephew, husband, father, friend, teacher, director, composer or chef. In 1986, Jeffry married his dear wife Nadeen, who shared his passion for our Lord, family, music, birding and gourmet food. Moving to Tucson in 1987, they raised two awesome young men, Grant, a burgeoning music composer and Tyler, who serves our country in the U.S. Army. Jeffry earned his Doctor of Musical Arts degree from the U of A, a Masters of Music from Wichita State Univ., and a Bachelor of Arts from Bethany College. Prior to his position of 19 years as Director of Worship Arts for Fountain of Life Lutheran Church, Jeffry inspired young musicians at Palo Verde Christian High School. He was also an accomplished tenor soloist and maintained a private voice studio. Our community recently celebrated 25 years with Jeffry as the Music Director for the highly acclaimed Arizona Repertory Singers. 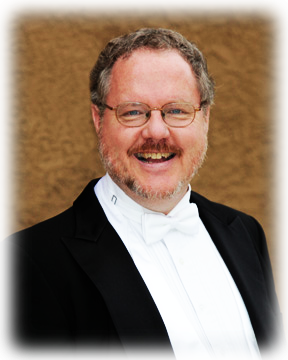 Among his abundant accomplishments, Jeffry was the featured soloist for His Majesty King Carl Gustav of Sweden; Conductor of our annual community Messiah Sing-In; Artistic Director of Music for the Soul; choral clinician for regional high school choirs; and is one of the 2014 Tucson Musician Museum inductees. Jeffry...your time with us was way too short but your impact was profound. You will always be in our hearts.